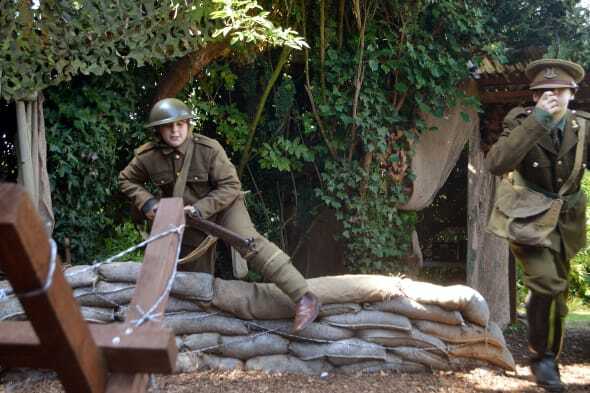 As landscaping projects go, it is an unusual one - but for two schoolboys a First World War trench is the perfect addition to their back garden. 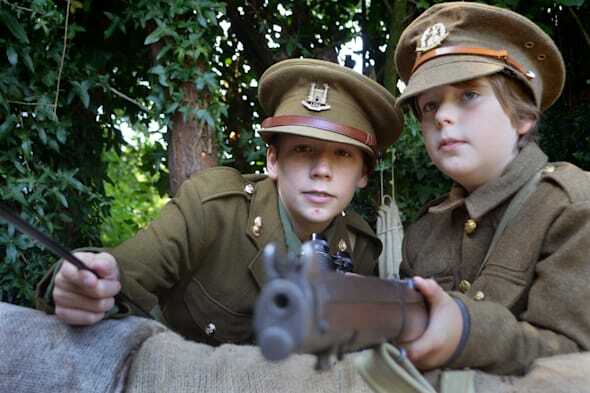 Brothers Ethan and Reuben Harvey have constructed a miniature battlefield - complete with a look-out tower, fake tank traps and a sentry box - to commemorate the centenary of the war. 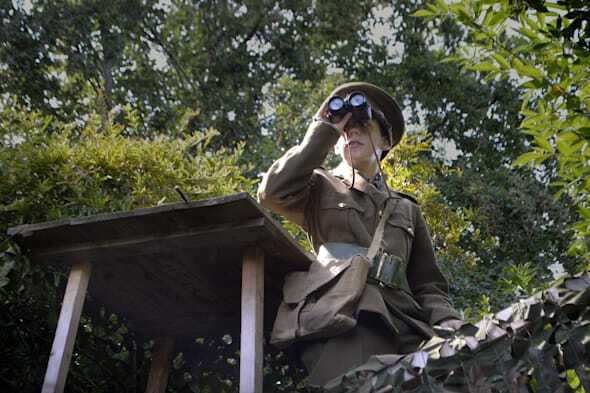 The boys dress up in period costume as they re-enact going over the top into No Man's Land at the bottom of the garden. 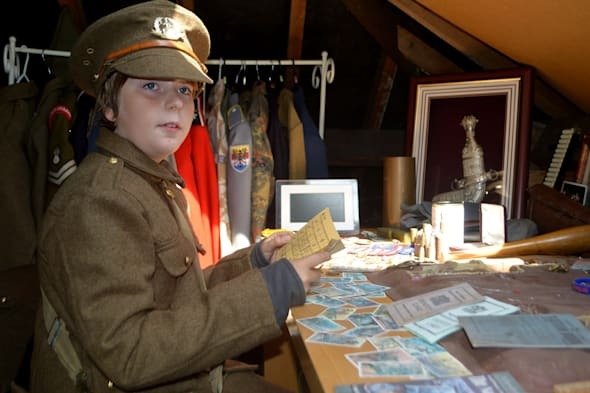 They have a huge collection of memorabilia - including medals, uniforms and a genuine rifle from 1914 - in the attic of their semi-detached home in a Norwich suburb. "We've lined the trench with sandbags and we've tried to keep it as authentic as possible. "Some of the youngest soldiers were about my age so it is scary to think that could have been me - I don't know how I would have coped. "We wanted to commemorate what happened 100 years ago as tribute to those who made the sacrifice. 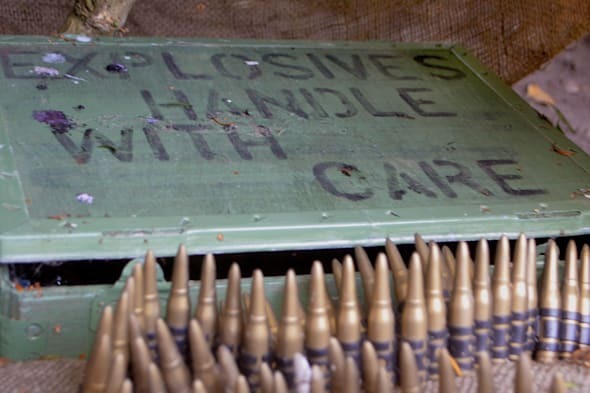 "I've learnt a lot about the war through this and it helps me explain to my friends what happened." The boys - whose great, great grandfather Frank Williams was among the first to be deployed with the 15th Royal Hussars in 1914 and fought in the Battle of Mons - have invited friends and their history teacher to inspect their work. Reuben, 11, explained they had recreated tank traps using old beams of wood. "We've put some fake barbed wire around them to make it look realistic," he added. They have also erected a memorial to the fallen and have planted poppies around it. Father Richard, 48, an engineer, did much of the building work but said the boys could take full credit for the detail of the project. He said: "They aren't interested in joining the Army but they are genuinely interested in the history side of it. "I helped them construct it but they spend their weekends dragging me to military fairs and car boot sales to find memorabilia. "They know far more about the war than I do. "I have learned a lot from them and they teach me something new every day."